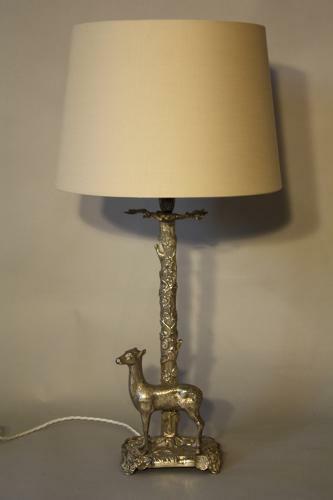 A charming silver metal lamp of a deer under a stylised tree. Most likely by Valenti, Spanish c 1960. Height to shade 69cm and without shade 51cm. Taupe coloured shade included in price. Fully rewired and PAT tested for UK use.